With Brimar, your development project is in expert hands. 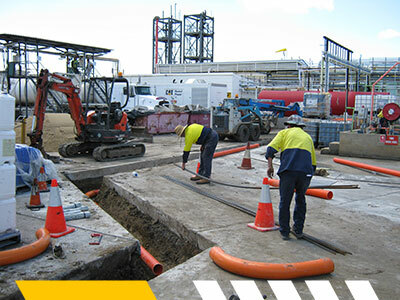 Energex accredited, we specialise in the electrical reticulation of new developments, existing facilities and distribution work for both underground and overhead power up to 11kV. Our service portfolio includes the design, electrical and mechanical fit-out, service and maintenance of public and privately owned amenities and multi-discipline contract management for resource and sub-contractor provisions during network construction. Our goal from project conception is to provide you, the developer, with the most cost effective design, installation and service solution. Our experienced engineers and end-to-end project management capabilities will keep your development on target, on budget and operating to the highest safety standards. Beyond our core services for Infrastructure projects, we offer extended services including: constructability scoping and site audits for electrical and lighting solutions, underground and overhead power reticulation and procurement, and installation and commissioning of transformers.